We’re celebrating the wrap-up of the 100 Articles in 100 Days Marathon Challenge! Whether you made it to 100 articles in 100 days or not, we want you to celebrate this incredible ground-breaking marathon with us during a very special teleseminar co-hosted by Chris Knight, CEO of EzineArticles.com and Jeff Herring, The Article Marketing Guy. We hope you’ll join us live because we’ll be announcing how you can submit your request for a FREE EzineArticles #HAHD limited-edition mug! Please SUBMIT your Questions in the form of a blog comment below and we’ll do our best to get answers to them via the teleseminar. This interview was designed to be an overview of what article marketing is all about. EzineArticles Expert Author Cheryl A. Chatfield, Ph.D. is in today’s Author Spotlight. Cheryl is a writer, teacher and inspirational speaker based out of Burlington, Connecticut. While these are impressive credentials in their own right, what really attracted our attention to Cheryl was the editorial quality of her articles. In less than 6 months as an EzineArticles Expert Author, she has managed to already receive Platinum status and serves as a role-model for creating original, high-quality, problem-free articles. We asked Cheryl to share some tips for writing great articles. What drew you to our attention is the editorial quality of your articles. What’s your secret? What EzineArticles tools do you find most useful? What kind of traffic do your articles generate for you? What advice would you offer somebody thinking of becoming an EA author? In your eyes, what makes you unique as an article marketer? You’re fairly new to EzineArticles. What’s your impression thus far? Thanks Cheryl for being an Expert Author and a talented member of the EzineArticles community! Oftentimes it’s easy to get so focused on quantity of articles that we overlook the quality of what we write. As Cheryl points out, writing high-quality articles is equally important to the overall success of your article marketing efforts. A few weeks ago EzineArticles Expert Author Alex Mandossian interviewed me on Entrepreneurialism (one of my favorite subjects) and together we raised $2,680 for his Smart Start Giving / Kiva.org Micro-Loans for Entrepreneurs charity. I received quite a few complaints that the audio replay was very hard to hear, so I’m releasing the MP3 and Flash versions that we created from the event. These are much clearer/easier to hear. 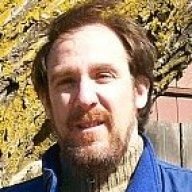 EzineArticles Expert Author Edward Weiss is in today’s Author Spotlight. Along with being an Expert Author, Edward is considered by many to be the Internet’s favorite piano instructor. His site offers step-by-step instructions and video tutorials, plus a guarantee that anyone can learn how to play New Age piano. WHAT: LIVE Micro-Fundraising Call with host & EzineArticles Expert Author Alex Mandossian of SmartStartGiving.com. WHY: Help us raise $5,000 USD for Kiva, an organization whose mission is to connect people through lending for the sake of alleviating poverty. Kiva is the world’s first person-to-person micro-lending website, empowering individuals to lend directly to unique entrepreneurs in the developing world. Giving Option #1: Give the maximum donation of $40 to help entrepreneurs get a smart start; and do it before the end of today Friday Feb. 27th. In a special email newsletter issue to 100,000 of our members that will go out within a week or less, you’ll get your name mentioned along with (1) link to your website or blog, plus (1) link to your social media profile of choice (ex: FaceBook, Twitter, etc) and (1) optional link to your EzineArticles expert author URL. Giving Option #2: Give a donation of $20 before the end of today Friday Feb. 27th, and you’ll get a name mention plus (1) link to your website/blog or EzineArticles expert author profile (your choice). Send us an email with your receipt along with your full name and URL/website address for yourself or your business, one optional URL for your favorite social media profile, and lastly, your author name as listed on EzineArticles.com (optional), depending on whether you’re doing giving option #1 or #2. Whether you are just getting started, have less than 10 articles, or lots of articles, Chris and Jeff will show you how to get an unlimited number of articles on EzineArticles.com – a site that receives 15+ million unique visitors a month! You want to be in front of that kind of traffic. The secret to making article writing & marketing work the best is nailing *BOTH* quality and quantity…and it’s rare when I see it happen even with 130,000+ expert authors participating in the EzineArticles system. What happens is that most experts who get the QUALITY aspect of article writing often fail to create enough quantity of articles to get the traffic & exposure return that is possible based on the quality of their articles. 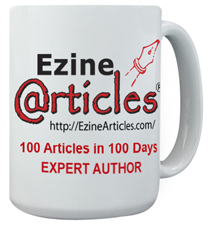 Then along came EzineArticles Expert Author, Ann Keeler Evans… who wrote and submitted more than 250 high quality articles in her first 6 months of being a member. I just knew that Ann had some rituals and secrets that many of our members could benefit from, so I called her up and received permission to interview her on what, why and how she does what she did. 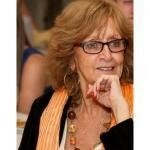 Learn more about Ann Keeler Evans here. After you listen to the interview or read the notes, what key point(s) did you take out of this as it applies to your unique situation? 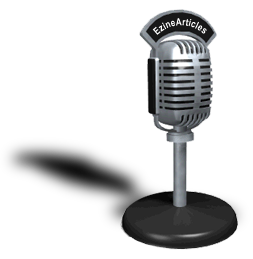 EzineArticles Expert Author Stacey Hylen interviewed me on article writing & marketing for business owners/entrepreneurs.